Award winning journalist Jessica Kwong who has contributed with the San Francisco Chronicle, the San Antonio Express-News, La Opinión, Time Warner Cable Sports and the San Francisco Examiner, just to name a few major publications, recently came up with an article about her latest trip to Cozumel, check it out. Traveling to Mexico, even its tourist destinations, raises the unfortunate question: Is it safe? 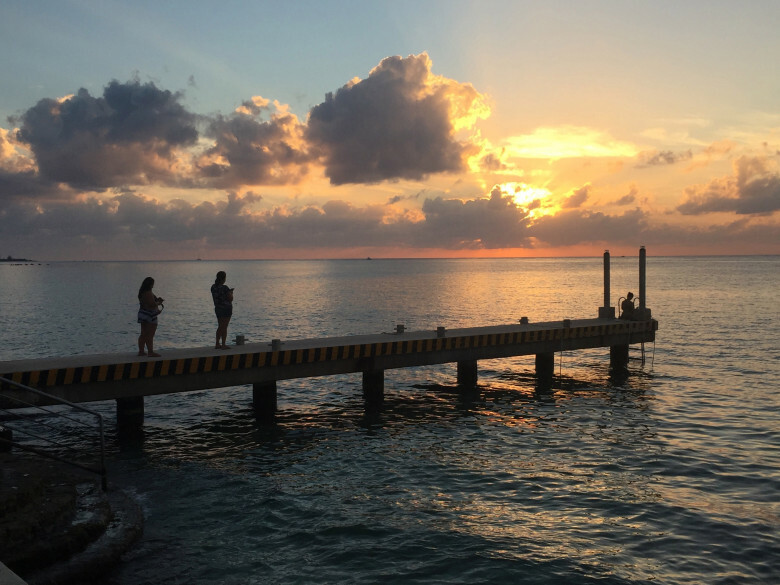 While no place on earth is 100 percent safe, I discovered why Mexico’s biggest island, Cozumel, is considered, compared to its counterparts in the mainland, out of harm’s way. I arrived by cruise ship, like many visitors. Upon off-boarding, my travel buddies and I didn’t let the touristy restaurants and souvenir stands distract us from our mission to explore the mostly undeveloped island. We contemplated renting a car to see all its 30 miles in length and 10 miles in width at our leisure, but settled on a private van tour. Our guide, Miguel Santa Maria, took us first toward San Gervasio, Cozumel’s largest Mayan ruins. We traveled on a simple roadway, occasionally passing colorful houses and lush vegetation. The ruins weren’t massive but still significant, as advertised. San Gervasio was the main site on the island for natives to worship Ixchel, the goddess of love, fertility and medicine. Among the structures still standing is a pyramid known as “the house” and a restored arch. Most were open for guests to walk through. The upside of them not being the best known Mayan ruins is there was plenty of breathing room. Next, Santa Maria brought us to Club Cozumel Caribe at Playa San Juan. It was a secluded and relaxing beach perfect for lounging, taking dip in the aqua blue water and grabbing a bite to eat. Our final stop with Santa Maria was San Miguel, the city center of Cozumel. On the drive there, we saw big, nice houses as well as some that looked run down. I wondered if most of Cozumel’s residents were wealthy. Santa Maria said it is home to people of all income levels, but that it isn’t cheap to live on the island. I asked why Cozumel is “safe” from narcos, relative to other vacation spots in Quintana Roo and other Mexican states.